4WinKey Standard 9.6.5 was available as a giveaway on June 23, 2018! 4WinKey Standard is the world's leading Windows password recovery tool, which can reset lost administrator and guest login passwords on Windows 10/8.1/8/7/XP/Vista system. 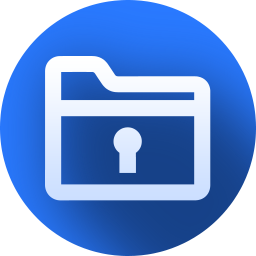 You can use the program to remove Windows login password in minutes without reformatting or reinstalling your system. Remove Windows local admin and other user passwords. Create a password reset CD/DVD. Fastest, easiest to use, life saver for login password. Support all Windows systems, including Windows 10, 8.1, 8, 7, Vista, XP and Windows Server. How would you improve 4WinKey Standard 9.6.5? 4WinKey Professional enables you to burn a USB flash drive to remove Windows admin and other user passwords while 4WinKey Standard only supports CD/DVD. 4WinKey Enterprise allows you to reset Windows admin password, guest user password, domain password, local password and Microsoft account password by using CD/DVD or USB flash drive. 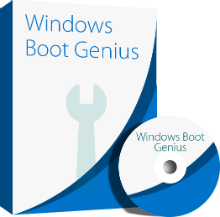 Windows Boot Genius is a professional system optimizer allowing you to easily perform diagnostics and fix common problems on any Windows computer. Installed with no trouble to my Windows 7, 32 bit computer. I test new CD programs on a re-writable DVD first. If they work OK I then burn the program to a normal CD. I used the CD burner that came with the download which works fine. I would suggest that after you press the "Burn" button that there would be some indication that the burn is progressing. Mainly because there is a small message that appears that says that Track 1 is being burned at ZERO x speed! When I was burning the re-writable DVD it took a long time for it to complete the burn and I wasn't sure if it was really being burned or not at 0 x speed. I tried the DVD on another Windows 7 machine and the password was removed very quickly once I made my selection which OS I wanted to clear the password from. This program is definitely a keeper. Thank you Tenorshare and GOTD. Installed with no trouble to my Windows 7, 32 bit computer. I test new CD programs on a re-writable DVD first. If they work OK I then burn the program to a normal CD. I used the CD burner that came with the download which works fine. Note to Tenorshare: I would suggest that after you press the "Burn" button that there would be some indication that the burn is progressing. Mainly because there is a small message that appears that says that Track 1 is being burned at ZERO x speed! When I was burning the re-writable DVD it took a long time for it to complete the burn and I wasn't sure if it was really being burned or not at 0 x speed. I tried the DVD on another Windows 7 machine and the password was removed very quickly once I made my selection which OS I wanted to clear the password from. This program is definitely a keeper. Thank you Tenorshare and GOTD. olrowdy01, Thank your for your trust and support! Lazesoft Recovery Suite Home Edition, which is freeware, looks nicer, and works nicer than this. Right click the ISO and open with ImgBurn. It will offer to burn the CD for you. When I boot from the CD the programs freezes. I can not do anything but a hard reset. I uninstalled the program and installed it again. Burned another CD but the same thing happened. Great that you can boot from CD ... now, what computer, what OS, and what CMOS BIOS settings do you have?
. [ TrustMe ], Great that you can boot from CD ... now, what computer, what OS, and what CMOS BIOS settings do you have? . The first computer I tried was an Ailenware laptop, bought in 2012. It has the old BIOS. It is running Windows 10 Pro with the latest build 1803. I tried it on a second computer, an HP Pavilion, bought in 2018. It has UEFI. It is also running Windows 10 with build 1803. The program worked great on this laptop. The first computer I tried was an Ailenware laptop, bought in 2012. It has the old BIOS. It is running Windows 10 Pro with the latest build 1803. I tried it on a second computer, an HP Pavilion, bought in 2018. It has UEFI. It is also running Windows 10 with build 1803. The program worked great on this laptop. So ... it seems as if something in one computer is not revealing itself to this program, and instead of reporting where it hangs, it just hangs. I suppose you could make temporary changes to legacy boot and UEFI to see if the boot CD can finally 'see' what it needs to see -- even move the drive you want to clear passwords from to another computer, and see if it's 'seeable' there, or not -- it the problem the drive or the computer? Try the drive that did work in the computer that didn't work, and see if the drive suddenly can't be 'seen' -- divide the parts and conquer the settings to make sure whatever you setup can be serviced in the future if needed, instead of only finding out later that certain ways to set up that computer make it impossible to clear passwords. Also try another password clearer program. I'm curious to learn how things work out -- good luck.
. [ TrustMe ], So ... it seems as if something in one computer is not revealing itself to this program, and instead of reporting where it hangs, it just hangs. I suppose you could make temporary changes to legacy boot and UEFI to see if the boot CD can finally 'see' what it needs to see -- even move the drive you want to clear passwords from to another computer, and see if it's 'seeable' there, or not -- it the problem the drive or the computer? Try the drive that did work in the computer that didn't work, and see if the drive suddenly can't be 'seen' -- divide the parts and conquer the settings to make sure whatever you setup can be serviced in the future if needed, instead of only finding out later that certain ways to set up that computer make it impossible to clear passwords. Also try another password clearer program. I'm curious to learn how things work out -- good luck. . This is a keeper for me, though I hope the ISO will just sit in a folder on the hard drive unused, well, forever. ;) The program's folder, once installed [using a pre-registered, regular setup file] includes a burning utility & the ISO. The ISO is all I care about, since Rufus can use it to make a bootable USB stick. In fact, I prefer just the ISO because it can be used with Rufus -- this very handy app lets you set boot parameters, and there are more than likely settings that will work for all of your devices, unlike the vast majority of bootable USB sticks various apps create. To test 4WinKey Standard's ISO I setting a win7 VM to boot from it, and it seemed to work fine. Will it work in all cases? I don't know, but at 1.5MB there's no reason not to store the ISO forever just in case. For alternatives, Google & there are apps that make brute force attacks on Windows passwords, or if it's win8 or 10, if you log in with a Microsoft account you can reset the password that way. Note, if a password exceeds 14 characters, there may be no way to overcome it being lost, as it may not be stored in any analyzable hash. is a good long password, and easy to remember ( it's 19 characters long ).
. Thanks, [ mike ]. Note, if a password exceeds 14 characters, there may be no way to overcome it being lost, as it may not be stored in any analyzable hash. So, if you want an impenetrable password for yourself, or to lock others out of their own computers, a 14+ character password is the way to go: [ nineteen characters ] is a good long password, and easy to remember ( it's 19 characters long ). ;-) . Doesn,t work. Don't waste your time and blank CDs on this rubbish program. I have made a set of four new coasters for my living room. This program, 4WinKey, creates unusable disks. They don't boot. They don't bypass anything. Windows doesn't read the disk, either. Does not work for me on CDR or CDRW. First GOTD program that I downloaded in months that doesn't seem to work. I'll continue to use my purchased copy of Wondershare Liveboot - which erases passwords rather than recovering them (evidently from reading comments, so does this program). Cheers! does this also work with win98? Laura, Yes! The program supports all Windows systems. I tried to use it on a laptop that I do not remember the admin password. BUT, to install the software, Windows require the admin password. If I knew the admin password, I would not need the software. I tried to use it on a laptop that I do not remember the admin password. BUT, to install the software, Windows require the admin password. If I knew the admin password, I would not need the software. Yuval, it's likely intended for installation on a different machine than the one you're trying to use. Yuval, Hi, You need to install the program on another Windows computer (Not the PC you wanna unlock) to burn a CD/DVD/USB. . After that, you can boot your computer with the burned CD/DVD/USB to remove the admin password. Shyann, It does not do that. The free program that is offered here only detects the users, but does not remove the admin password. To remove the password, it asked me to buy the full software. Shyann, It does not do that. The free program that is offered here only detects the users, but does not remove the admin password. To remove the password, it asked me to buy the full software. Useless. Cant burn to USB!! Most laptops now come without DVD drive. Useless. Cant burn to USB!! Most laptops now come without DVD drive. Ossie, Hi, If you wanna burn a USB flash drive, you can upgrade Standard to Professional at the special price $9.9 in the website. Very misleading sentence under the title: "The world's leading Windows password recovery tool." This isn't a "recovery" tool at all! It wipes out the old password, so you can make a new password. I'll use an analogy: If I lose my wedding ring down the drain, "recover" means the tool fishes out the ring and gives back to me the original ring. 4WinKey would flush my ring down the drain and give me another one: "Here, this is just as good as that old one." Very misleading sentence under the title: "The world's leading Windows password recovery tool." This isn't a "recovery" tool at all! It wipes out the old password, so you can make a new password. I'll use an analogy: If I lose my wedding ring down the drain, "recover" means the tool fishes out the ring and gives back to me the original ring. 4WinKey would flush my ring down the drain and give me another one: "Here, this is just as good as that old one." Been waiting for such a program, but if it is for Giveawayoftheday, how can I use it on a computer I can't get to until after the 24 hours is up? Can i just download to a usb drive and use it? Will it still be valid? PD, The pre-activated WinKey Standard download link is only available for 48 hours for giveaway. Have you downloaded it during the promo? Windows 10 control panel - "Create a Password Reset Disk"
What makes 4WinKey Standard better? Windows 10 control panel - "Create a Password Reset Disk" What makes 4WinKey Standard better? Pops, I don't see "create password reset disk" in my control panel. Help, please. Thanks. Surprisingly, it actually is there, under "User Accounts". Can be stored on a USB flash drive too. Not sure if it would reset the main login password for the lock screen though. Would have to try it and see, although on many home computers the main user is also the administrator so it should work. Handy to know and I'll have to create a reset USB myself - tomorrow! givmeabrake, Surprisingly, it actually is there, under "User Accounts". Can be stored on a USB flash drive too. Not sure if it would reset the main login password for the lock screen though. Would have to try it and see, although on many home computers the main user is also the administrator so it should work. Handy to know and I'll have to create a reset USB myself - tomorrow! Springy, yes an official password reset/recovery disc or USB stick is a standard windows NT feature existed in XP too, you get offered the option to reset the password if you fail to enter the correct password a couple of times and the hint does not help, after you accept the offer to reset the password yo uare asked to provide the previously created disc/USB stick to procede. I believe but have not tested it that this official method retains windows protected store data where as these sledgehammer 3rd party password deleters strip selected accounts passwords and wipe the protected storage data. TK, Thanks for your explanation, but my situation is a bit academic anyway as I have a techie son :) He has setup nightly backups for me using VEEAM to an offsite NAS. He gave me a USB that I need to use if I ever need to. Had forgotten this when I made my reply the other night. TK, Thanks for your explanation, but my situation is a bit academic anyway as I have a techie son :) He has setup nightly backups for me using VEEAM to an offsite NAS. He gave me a USB that I need to use if I ever need to. Had forgotten this when I made my reply the other night. You will NOT be able to boot most new computers (those with with UEFI-"bios" instead of older BIOS standard) - at least not those with 64-bit Windows ( which is standard nowadays!). sorry,... but this is pretty OLD stuff: You will NOT be able to boot most new computers (those with with UEFI-"bios" instead of older BIOS standard) - at least not those with 64-bit Windows ( which is standard nowadays!). Even while SOME of those machines might be bootable though: - if their UEFI allows you to set CSM to 'off' - and to change security management settings, this will come out to be to complicated for most average users (and even for most more experienced ones, too!) But ok, if you are still willing to try out: - google your mainboard and/or UEFI vendor and study the results for possible alternate settings... good luck. Now I have access to the Task Manager and other blocked elements. Cool. Thanks. (New XP-Installation was not an option, because these special Laptop drivers are not available). - Installed on Win 8.1 - Burned a CD-RW-Disk - Removed Admin-Password of an old Win XP Laptop I bought in an Second-Hand-Store Now I have access to the Task Manager and other blocked elements. Cool. Thanks. (New XP-Installation was not an option, because these special Laptop drivers are not available). pretty pointless for an Windows XP as that operating system is so easy to hack, all you need to do is boot up with Command Prompt and use the "netuser" command to change passwords of any account and even gain access to the super hidden system account. No software needed!! Gerome, try snaildriver a free utility to update your drivers..worked for me like a charm. I recently wanted a dual boot of xp and w7. If you have the xp disc and key, windows activation by phone still works..hope it helps. Gerome, try snaildriver a free utility to update your drivers..worked for me like a charm. I recently wanted a dual boot of xp and w7. If you have the xp disc and key, windows activation by phone still works..hope it helps. Ashok, SnailDriver does not support XP. Wise Driver Care, support XP and has a much larger database of drives than SnailDriver has. Roger, Thanks...I realized it this morning. Thanks for the guidance. Works fine till I get to the bit about typing in the number of the user. There are no users listed so I am stuck !! Niv, have you tried to type '1'? Yes I tried but it will not accept anything but 0 (quit). Another password resetter stated that there was no password but there clearly is. There's even a password hint, "tigers", below the password box. Gerome, Yes I tried but it will not accept anything but 0 (quit). Another password resetter stated that there was no password but there clearly is. There's even a password hint, "tigers", below the password box. Niv, Try Bengal, Siberian, Leicester. ThanksDave J and all other people who replied.Tried them all but no luck. Any other ideas? Dave J, ThanksDave J and all other people who replied.Tried them all but no luck. Any other ideas? Niv, If you try lots of wrong passwords windows locks out the account and even if you guess the right one eventually, you will never know as the account remains locked out until the locked flag is reset. I have found rebooting into safe mode seems to release the lockout.. There are several 3rd party programs that remove accounts windows login passwords and reset the locked flag. Some are free features of other recovery programs some are paid for tools. Some have been given away on this site before. Niv, Good to know you can boot your unlocked computer into 4WinKey password reset interface. Which Windows installation path did you choose? After that, you can choose the user you want to reset password on. How is this better than the freeware Offline NT Password & Registry Editor that i uses for well not recovering passwords but removing them or even activating a account if logged out. I know it claims to recover the password but I find that a problem as it can be misused where this one that I use removes it instead so your account has non = no one will know your password lol. Ohh and it works on a USB key. How is this better than the freeware Offline NT Password & Registry Editor that i uses for well not recovering passwords but removing them or even activating a account if logged out. I know it claims to recover the password but I find that a problem as it can be misused where this one that I use removes it instead so your account has non = no one will know your password lol. Ohh and it works on a USB key. having forgotten my sign in password on windows 10 I was all ready to re-install i saw this on another giveaway site, downloaded and tried.so glad i found it worked first time and easy to use. mark, Glad to hear that! prog installed fast, no registering so download and burn your cd dvd. cause want be of use if on comp and cant log in. burned fast small program. thanks GOTD dont need now but never know with kids in house. Note that the Terms and Conditions state "...you won't be able to use the contents of the downloaded archive after the end of the giveaway period unless stated otherwise." - I cannot see any 'unless stated otherwise' in your description of the software, so does this software become unusable after the giveaway period? If so, how long is the giveway period? Senior, the cited text has been in use for ages. It means you have 24 hours to use the contents of the zip to install the giveaway. The giveaway itself can be used as long as your Windows machine keeps running. A re-install of Windows will almost always mean the end of the giveaway. -- Make a CD now, and when you boot any computer, set it's CMOS BIOS date to 2018-06-23 before booting to the CD. -- The program itself that makes a CD may call home, so run your computer off the internet with the computer date set to 2018-06-23 to make a new CD whenever you want to.
. [ Senior ], IF you find that the program or the created CD stop working, THEN: -- Make a CD now, and when you boot any computer, set it's CMOS BIOS date to 2018-06-23 before booting to the CD. -- The program itself that makes a CD may call home, so run your computer off the internet with the computer date set to 2018-06-23 to make a new CD whenever you want to. . It does not mean you can not 'use' the software anymore (after you've installed it), after the GOTD-period. Senior, "contents of the downloaded archive" means the setup.... which means you can not install this after the GOTD-period (which is clearly stated above), like most of the software offered here... It does not mean you can not 'use' the software anymore (after you've installed it), after the GOTD-period. Errr reseting a password or in this programs case REMOVING accounts passwords is NOT password recovery! It results in the LOSS of the password and ALL data encrypted by keys derived from the password and in the case of windows login password the entire windows protected storage area. It is NOT a new thing and has been available as free offline tool for decades. It is not a panacia but a tool of second to last resort, the last resort being re-installing or factory re-installing windows and starting again. PassFab 4WinKey Standard can only create Windows password reset CD, If you want to create a Windows password reset USB, please upgrade to PassFab 4WinKey Professional. Martin, .....Create a password reset CD/DVD.....Some Laptops no longer have a burner / reader. Google search for programs that take a CD ISO and mount it in a USB flash drive, and that'l accomplish your goal -- [ mount cd iso flash drive ]. I had to do the same with a Win ISO from Dell that was for CD only ... been using it on a thumb drive very well.
. [ Martin ], Google search for programs that take a CD ISO and mount it in a USB flash drive, and that'l accomplish your goal -- [ mount cd iso flash drive ]. I had to do the same with a Win ISO from Dell that was for CD only ... been using it on a thumb drive very well. Note, THIS ISO is on your computer at: C:\Program Files (x86)\4WinKey Standard Full\\PassFab_4WinKey_Standard.iso . Peter, I doubt this will work. In order to remove the User-Passwords, the Computer has to BOOT the Linux OS from the CD/DVD. Gerome, I'm not sure this won't work as I have a Linux OS boot USB, so it is possible to boot into a linux os via USB. Yes, and for computers that can boot to USB, using today's GOTD ISO and burning it to USB via a self-provided utility that makes bootable USB from bootable CD ISO does the trick. Since it worked for me, I'm sharing my successful experience.
. [ Gerome ], Yes, and for computers that can boot to USB, using today's GOTD ISO and burning it to USB via a self-provided utility that makes bootable USB from bootable CD ISO does the trick. Since it worked for me, I'm sharing my successful experience. . When i start program it only flashes once and then disappear. When i start program it only flashes once and then disappear. Can't use it. Tapet Klister, is it possible, your antivirus program have something to do with it. Then, it isn't for the first time. oh c' mon stop whining! The rating is an answer to the question "Did you find this comment useful?" Obviously, some people do not. muhozah nhabhindi, oh c' mon stop whining! The rating is an answer to the question "Did you find this comment useful?" Obviously, some people do not. -- reboot in safe mode. Let us know if you resolve it.
. [ Tapet Klister ], Among other things, try these: -- make your screen resolution native / recommended and your fonts 100% not 125% or other, -- reboot in safe mode. Let us know if you resolve it. .
Tapet Klister, Hi, May I know what system and computer model do you use? Is it 32 bit or 64 bit?